Lock in a great price for Porto Galini Seaside Resort & Spa – rated 9.2 by recent guests! This is the perfect vacation location for everyone, all is wonderful. The views from this hotel are the best I've ever seen. 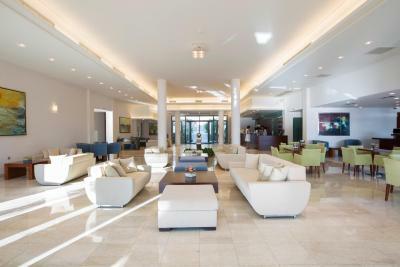 As soon as you walk into the lobby you immediately feel like your vacation has officially started, as you're greeted with a sample of wine, friendly staff, and views of the ocean and mountains from every floor to ceiling window. We relaxed on the beach under tiki umbrellas, enjoyed stand up paddle boarding, and kayaks, and mojitos on the beach. The surrounding area is charming with many delicious restaurants to choose from. I highly recommend visiting the Nidri waterfall which is just a couple of miles away, and the Sunset and Stars boat tour on the Christina boat (right in Nidri). My whole family enjoyed spa treatments which were fabulous - definitely recommend staying and swimming in the spa pool for a great experience. We will definitely be coming back to Porto Galini! Everything was lovely. Excellent location, staff, private beach, cleanliness and fabulous views from our free upgraded superior room, we stayed an extra night. Definitely returning to Porto Galini. Everything was perfect. As in the description. The best breakfast we ever had at a hotel! The location on the sea is amazing as are the views. Cleanliness is fantastic and the staff are very helpful. The pools are beautiful and set out so that it never felt crowded. 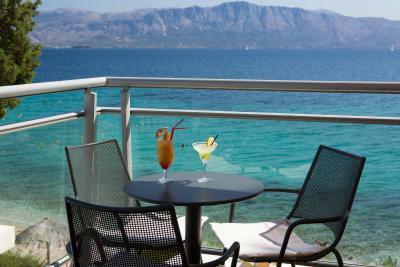 Sun beds are comfortable and outside food and bar area offer good choices although we found the prices a little high. The breakfast had a good variety. We tried the evening meal one night but it was extremely over-priced. This could be counteracted if you chose half board but we wanted to vary where we eat. The views were spectacular, and the staff were so friendly and welcoming. The whole resort was luxurious, very clean and had everything we needed for a wonderful break away. The photos really don’t do this place justice. It was absolutely fabulous! An amazing hotel, one of the best hotels ever. Modern rooms with large balconies, all painted in white and blue in Greek-style architecture, great views of the sea (all rooms overlook the sea). 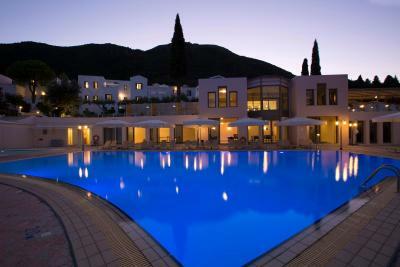 It has 2 swimming pools but we have not used it because the beach is great. The very clean beach, for snorkeling enthusiasts on the left side of the beach, there are some interesting underwater scenery. 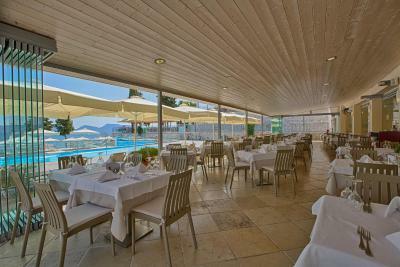 There are also 2 restaurants inside the hotel, each with its own specific menu and menu. 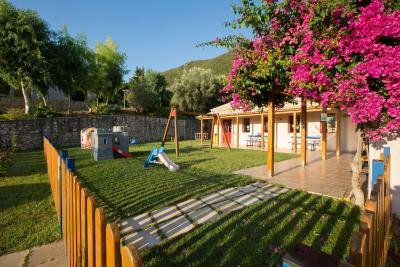 Separately there is a children's games room and a well-positioned beach bar. Excellent Wi-Fi, it covers the whole area of ​​the hotel. Everything was perfect. 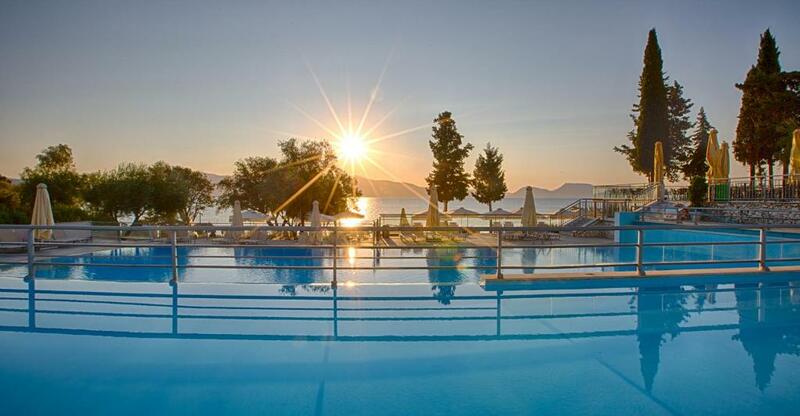 We have been in many Greek hotels but this one was the best experience ever. Well managed hotel, perfect location, great food, fantastic beach. Although hotel was full you do not have feeling of crowd on the beach or in pool area. 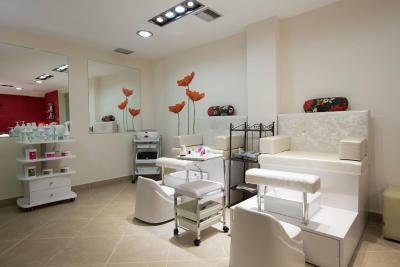 Relaxing, comfortable, perfect view, clean, high quality of service. Truly very nice experience! Porto Galini Seaside Resort & Spa This rating is a reflection of how the property compares to the industry standard when it comes to price, facilities and services available. It's based on a self-evaluation by the property. Use this rating to help choose your stay! Located 2.5 mi from Nidri Town in Nikiana, Porto Galini spreads over 131 ft² of landscaped grounds along a secluded beach. 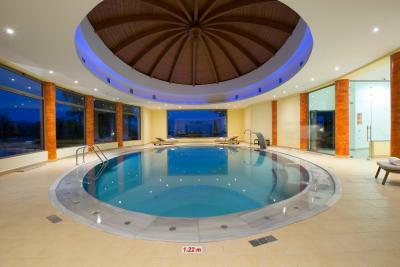 It offers 2 swimming pools and a spa with 2 indoor pools. Free WiFi is available in public areas. Opening to a balcony with Ionian Sea views, all rooms and suites at Porto Galini come with air conditioning and a flat-screen, satellite TV with DVD player. 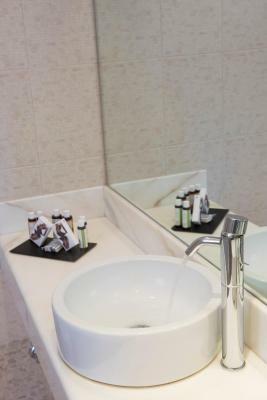 They also have a safe, a mini-bar and a bathroom with free toiletries, slippers and a hairdryer. Seaside Resort & Spa Porto Galini serves a breakfast buffet each morning. A wide variety of international dishes, as well as local delicacies, are served throughout the day. 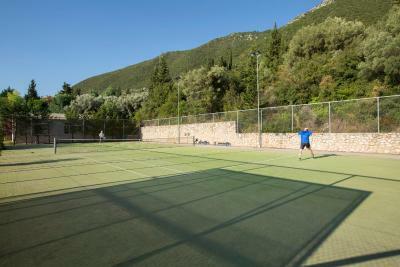 Sports facilities include 3 tennis courts, a state-of-the-art gym with sea view and beach volleyball court. A yoga pavilion oriented towards the sunrise is also featured. 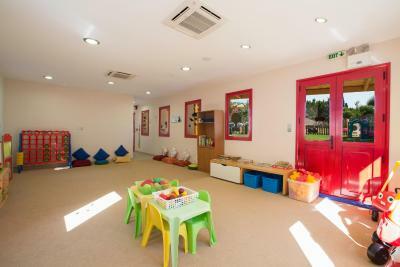 More facilities include a children's playground. The island's capital, Lefkada Town, is at a distance of 7.5 mi. This property also has one of the top-rated locations in Nikiana! Guests are happier about it compared to other properties in the area. When would you like to stay at Porto Galini Seaside Resort & Spa? 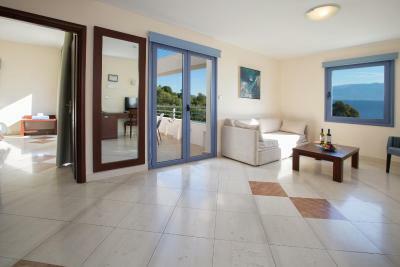 Offering views of the Ionian Sea from its furnished balcony, this air-conditioned room comes with a flat-screen, satellite TV, DVD player and mini-bar. Rooms with seating area are subject to availability. Located in the newly built wing, these island-style rooms offer a private balcony with sea views, and a flat-screen, satellite TV with DVD player. This spacious suite offers a large furnished balcony with sea views, and includes a flat-screen, satellite TV and a mini-bar. Suites with seating area are subject to availability. 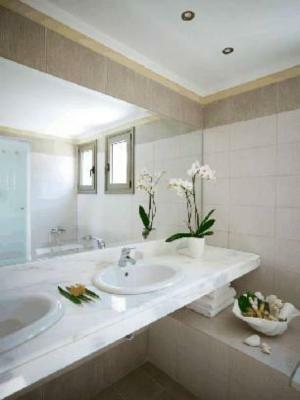 House Rules Porto Galini Seaside Resort & Spa takes special requests – add in the next step! Porto Galini Seaside Resort &amp; Spa accepts these cards and reserves the right to temporarily hold an amount prior to arrival. Porto Galini Seaside Resort & Spa accepts these cards and reserves the right to temporarily hold an amount prior to arrival. Please note that children under 16 are not allowed to use the spa, the gym and the indoor pool facilities. All breakfast items were cold. We stayed an extra night and hoped the breakfast would be hotter the next morning, unfortunately it was again cold. Everything was fabulous!! The only suggestion is they should do KIDDY DISCO! A boat mooring area for hire boats would have made this hotel perfect for us (maybe in a concealed area from beach). The guy helping on beach with boards and canoes could have been a lot more helpful. Perhaps a bit more evening entertainment? We stayed in a family suite which was a good size, with sea view and well situated in the hotel complex. The second room was basically a sitting room with two sofas made up as beds and our teenagers didn't sleep well the first couple of nights as the beds were uncomfortable. However, when we complained at the reception, they provided us with two mattresses for the beds which made them much more comfortable. We really enjoyed our stay at Hotel Porto Galini. The hotel is in a beautiful location, steps away from a private beach which we enjoyed relaxing on and snorkelling in the beautiful clear water with views over to the neighbouring islands. Kayaks and paddle boards were on offer for free on the beach. 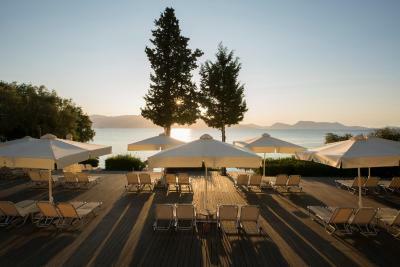 The hotel is well set out and never felt too busy or overcrowded and there was never any problem getting sun-beds around the two pools, or on the decking above the beach and plenty of shade. 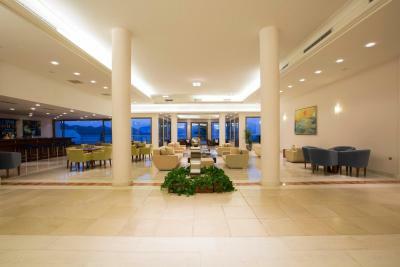 The staff were friendly and helpful, with a regularly visiting the beach to offer drinks. The meals were very good - brilliant breakfasts and lots of variety for the evening meal - with fresh meat and fish and lots of salads and fresh vegetables. We ate at the pool one lunchtime and pizzas were delicious. We made good use of the gym and pool/table tennis room. Was disappointed that there were no yoga teachers offering classes as the yoga pavilion is beautifully situated. We had already spent a week in a villa in Lefkada and travelled around the island so we didn't venture out much from the hotel but it is a drive away from Nidri and close to the waterfalls (which are really worth a visit). We were very happy to spend our days at the hotel and it was perfect for our needs. The location is good in so far as it sits in a beautiful setting and has it's own amazing beach. There is also a bus stop right outside for buses to Nidri or Lefkada. 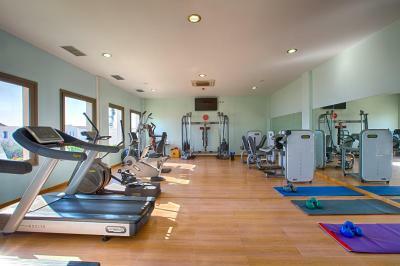 Other than that there is nothing really within walking distance which makes the facilities in the hotel more important. We felt the food at the pool bar was limited and another snack bar with lunch options would have offered a change of scene. The shop on site is small and offers very little - not even Ice creams or trinkets for children to spend their holiday money on. The evenings are quiet with very little happening. We were only there for 5 nights but heading to the same pool bar for midday lunch and evening drinks became monotonous and we headed into Nidri at night for a change of scene. If you are there with children there is a games room but evenings will be about making your own entertainment. This is 4 star and is quite reserved. We loved the luxury and the beach and would return in a heartbeat but would have liked a little more going on. It is set on a steep hill with many steps to climb. Loved the hotel's beach. Always plenty of sunbeds and shade. Breakfast was fabulous. Rooms a good size and beds very comfortable. Excellent views from almost everywhere on site. My tips: one of the kids swimming pool should have a slide and toys fountain for kids. The prices of the restaurant are on the high side. Food in the bar could better. 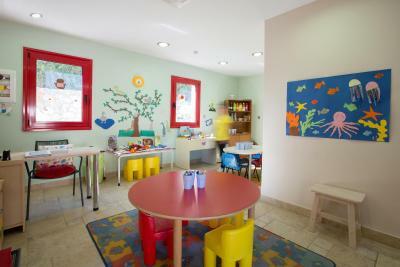 The resort has good facilities, specially for families with kids. The rooms smell ‘clean’ every morning. Very friendly personnel. But, most of all, the views are amazing. You can enjoy the views from the several swimming pools, bars/restaurants, and beach. Nothing. Probably not suitable for people with walking difficulties due to the number of steps through out the grounds. However, the Staff were most helpful picking people up in the buggies if they needed assistance.